Renovators have a role to play in preventing lead poisoning. 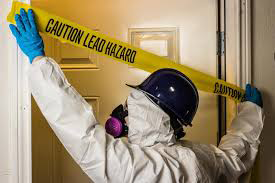 Common renovation activities like sanding, cutting and demolition can create hazardous lead dust and chips by disturbing lead-based paint, which can be harmful to both children and adults. This 4-hour refresher training course, which is required every 5 years, is for individuals who have previously completed the initial Certified Renovator Lead Certification in compliance with the Renovation, Repair and Painting (RRP) rule. The training will refresh RRP contractors in how to work safely in housing and child-occupied facilities with lead-based paint and to teach them how to comply with both EPA’s RRP Rule, and the Washington State Department of Commerce’s Lead Safe Housing Rule. DO NOT MISS YOUR DEADLINE! If you miss your five-year anniversary deadline to re -certify, you will be required to repeat the 8-hour initial Certified Renovator course. There are no exceptions. You MUST present your current Lead RRP Certificate in order to take the REFRESHER course.